Fort Davis Fire Department is now reporting a new start near 505 & Highway 90 that may have been caused by a spark from a train. Initial reports say the blaze is an 1 acre in size. Valentine, Marfa, Fort Davis, and Texas Forest are responding. Officials say, Texas Forest Service is sending one air-attack, 5 single-engine air tankers, or SEATs, and a bulldozer to the railroad fire at Highway 505 and 90. 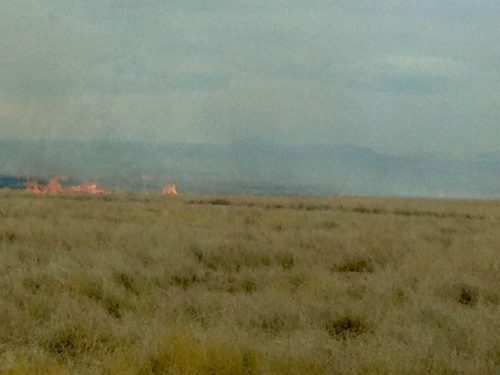 The fire is along the railroad track between Highway 505 and the Border Patrol aerostat. The SEATs have left Fort Stockton and are expected to arrive soon.